Goa is one of the most amazing places to be explored in India. The destination Goa has beautiful beaches, party nights, sightseeing, trekking and other adventurous activities to get rejuvenated. The moment we think about GOA, a dashing image of "PARTY" will come up. Yeah !!! Goa is a great party town. Endless boozing, dancing, loud music that too near a seashore - I know you will say, "Wow, What a life ?!! ".People around the world are queuing to spend a holiday in this amazing city. The decision is perfect. But, do you think Goa is just for partying, boozing, enjoying sun and seashore? Noooo!!!. Like many of the World's famous destinations, Goa has a great history tied in itself. Roads of the city will make you realize that. Be it food or people or architecture every moment will surprise your stay there. When we backpacked to spend our vacation, I thought this is just another beach destination. How wrong I was?.I will say the place not just re-energized me, it revamped me. Read further to know how you can transform every moment of your stay in Goa as a memorable and cherishable experience. Also, I have penned down few things that one should not miss in this destination. The best way to experience a city is by road travel.The more you walk the more you indulge in the minute details new destination offers. 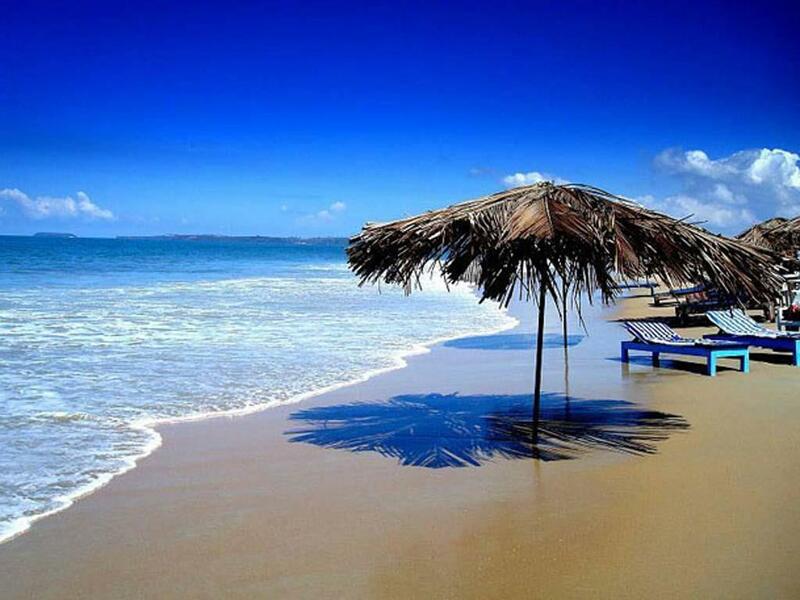 Goa is a holy paradise in this regard. With those comfy shorts,t-shirt and sneakers on, start walking along the roads of the city. The city without much hustle-bustle, fresh faces of people from various cultures, architectural splendor with the Portuguese touch will nourish your soul. Everyday stress that has taken the toll on you begins to vanish. You will feel pampered . Experience it !! Ferry ServiceMost of us are habituated to comfortable living. Usually, our travel plan to a new destination includes taxi hiring. We hire a taxi or preplan any mode of transport with the driver to visit places. Eventually, he/she will become our tourist guide. Do not commit a blunder by hiring a taxi - Goa is not for that. Bikes and scooters are available for minimal rent there. There are many bike rental shops across Goa. You just need to submit a copy of driving license and meagre amount as security deposit. That's it!! Helmets are also given. Believe me! your hunger to ride high-end bikes like Royal Enfield, Avenger can end here. You can also opt for scooters like Activa, Pleasure etc. 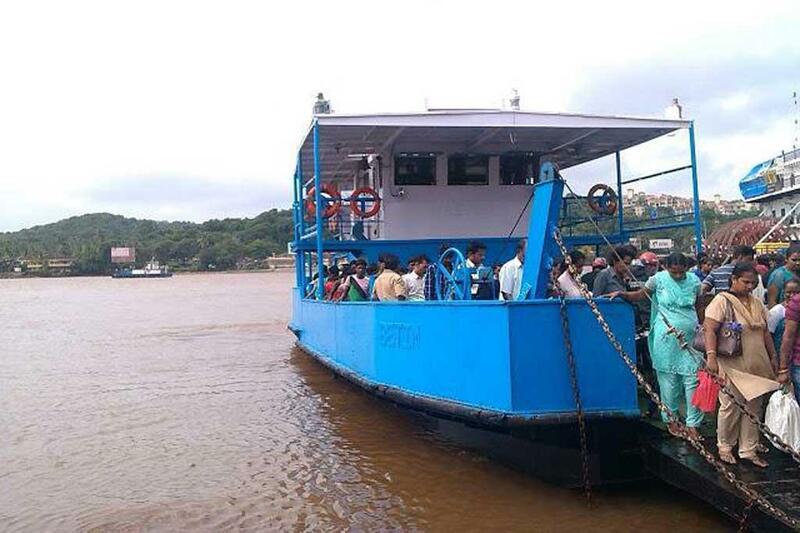 For tourists and other passengers in Goa, Ferry service is available to commute across rivers in north, south and central parts of Goa. Just enter into the deck of the ferry along with your bike, it can take you to places. How nice!! You can wander entire Goa. I had a mind-blowing experience of riding a bike along with my husband in a long road dissecting a fresh water arena. Drizzling weather also added its music to the picture perfect scene. "Oh man! I felt like GOD !!" Goa is an ultimate abode when comes to food. With many restaurants sprawled up in the city, one can relish the World famous Goan delicacies. 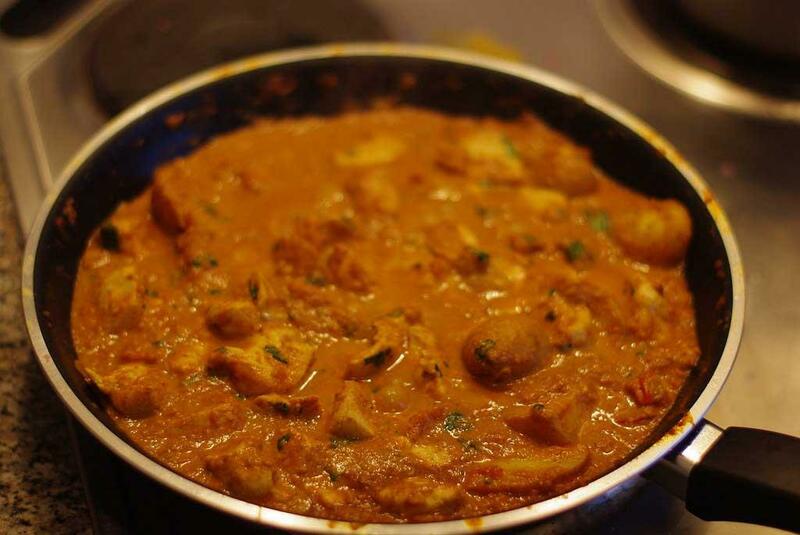 Goan or Konkani cuisine is mostly influenced by the ingredients available on the west coast of India. Seafood, coconut, rice, vegetables, kokum dominate the food. Though the food preparing style has its roots from India, it is heavily influenced by the colonization of Portuguese. I had the best food of my life in Goa. The food palette was a great fusion. Being a seafood lover I got the chance to taste some of the region's fresh catch like Snapper,Mackerel,Tiger prawns etc. You can choose the fish - restaurant guys show them in a plate before cooking. The ingredients used to spice up the dishes was so unique, flavorful and distinguishing in taste. Vegetarian lovers also have great options. Make sure not to miss the following foods. I have fallen in love with this bread when I was in the destination Goa. Also packed some when I returned home. This bread is a masterpiece in the art of baking. Palm-sized bread ,which can sit so cutely on your plate. Resembled a well-baked bun and hollow inside. Tasted heaven. This is a staple bread which goes well with most of Goan vegetarian and non-vegetarian curries. Another traditional Goan curry made out of prawns or crabs or mushrooms.I tasted all three. Ingredients used in the preparation gave a special taste to the gravy. The region's sea food is a daily fresh catch. Prawns or crab in the gravy was succulent and juicy. I couldn't wait to order more "Poi". Not a usual fish fry. Fresh, juicy fish in a batter marinated with spices straight from the Goan kitchen. Great starter for your meal. Light for stomach. A goan menu card never gets fulfilled without this awesome recipe. Seven layered dessert made out of flour,eggs,sugar and some magic. The chef told me its prepared in an authentic style. Melts in the mouth. A hearty heavenly dessert. Goa is rich in heritage structures. Portuguese rule in Goa lasted for 450 years. One can explore the exquisite Portuguese touch in the buildings and monuments built during the 16th century. The style and workmanship are unique. There are many museums across Goa which can explain the history of the city. A World map explaining how adventurers including Vasco-de- gama discovered en route to Goa caught my attention. I became a curious kid to know about the treasures trapped in golden olden days. One cannot miss a chance to visit The Basilica of Bom Jesus - UNESCO World Heritage site. 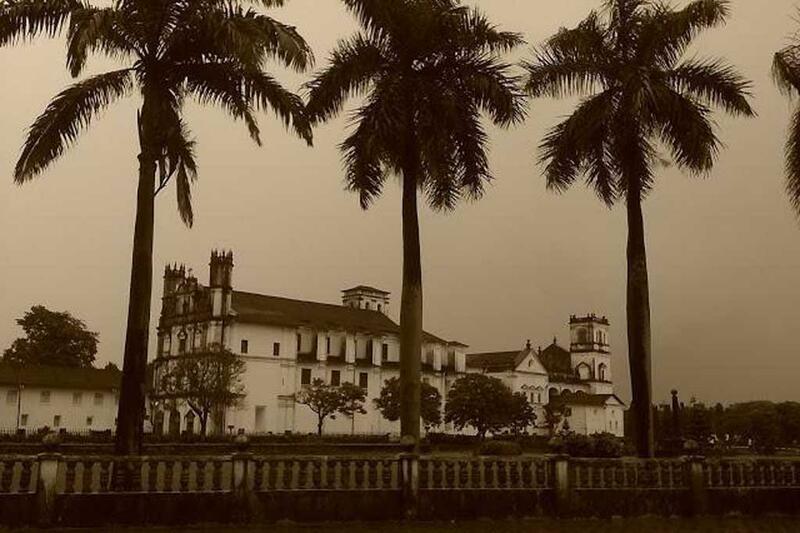 If history, antiques, ancient engineering, and planning can fascinate you, then visit these splendid buildings of Goa. You can capture the best of a lifetime memory there, so wherever you go hold a camera. I am sure you will be tempted to take more photographs. "Bom Jesus" means "Good Jesus" or "Infant Jesus".Located 10km east of Panjim, the surrounds capital of Goa.It is a UNESCO World heritage site. The architecture cannot be explained by words. Inside sacred relics of the body of St.Francis Xavier is kept in a casket. Paintings and wooden carvings were exquisitely carved to depict the scenes from the life of the saint. The surround itself a beautiful lush green garden. Do not miss to capture your Vintage photograph here. The largest church in Asia, largest and grandest in Goa. Located in Panjim,old Goa. The magnificent church bears sky high ceilings and giant bells. The giant bell is known as "Golden Bell". Ancient paintings and decors can be seen on the walls of the church. The museum "Archaeological Survey of India" is located on the church campus. It is composed of information about the discovery and history of Goa. Church to be first built in Goa.One cannot surpass the roads of Panjim without noticing this pleasing architecture.The interiors of the church are simple but the exterior design of the building will catch your eye.The church is dedicated to Jesus crucified and Our Lady of Rosary. Largest Portuguese fort in Goa.Located in north Goa.The fort was built to control water flow from Mandovi river into Goa.Also, it protected from enemy attacks during ancient times.This is the only fort which was not conquered by invaders during the 450 year Portuguese rule.The fort expands into a picturesque view of Mandovi river aside.Another monument which should not be missed while on a visit to Goa. There are lot more churches, monuments and temples to visit in Goa. Who doesn't love to play in beach waters? Running to the shore pretending as if the sea waves are trying to catch is a favorite childhood play. If it comes with an added topping of fun rides, we will definitely enjoy. 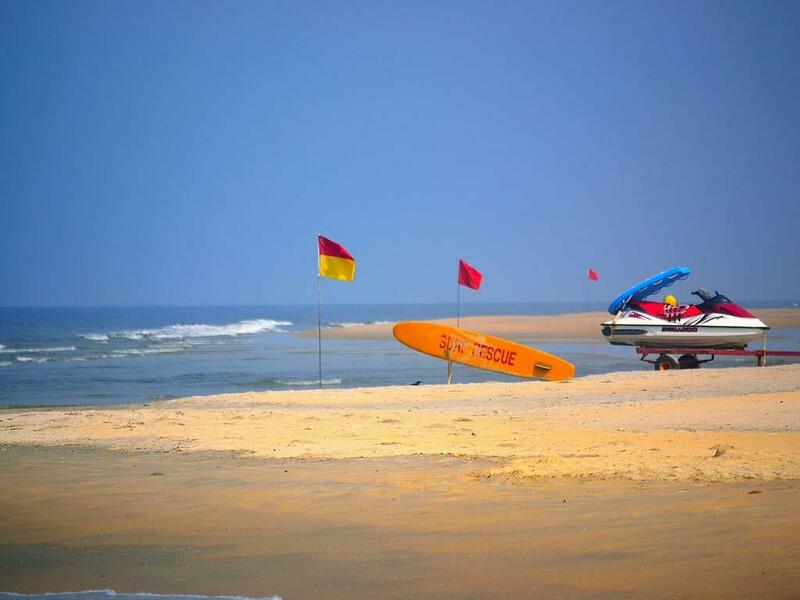 Goa beaches have plenty of water rides. Many adventurous rides in water are a must try. Experts will be there to assist you. Many websites offer online booking service to avail these water rides. But prefer to pay and pick your favorite rides when you visit the beach. Expert guys in the sea shore will guide you. It is comparatively cheaper. Enjoy water splashing bumpy-jumpy ride while moving along the waves. Excellent water sports activity in beach waters. 4 or 5 persons are seated on a banana shaped raft tied to a speed boat. Speed boat will be driven by a Professional. He can take you into sea waters so efficiently. Banana raft will move along the waves.Speed boat attempts you to slip into the water.How tightly you can hold is the key and its fun.Even children can play this sport safely. Life jackets are given for safety. Another water sports activity to satisfy the adventure hunger in you. You will be attached to a parachute. A speed boat will be pulling the parachute. 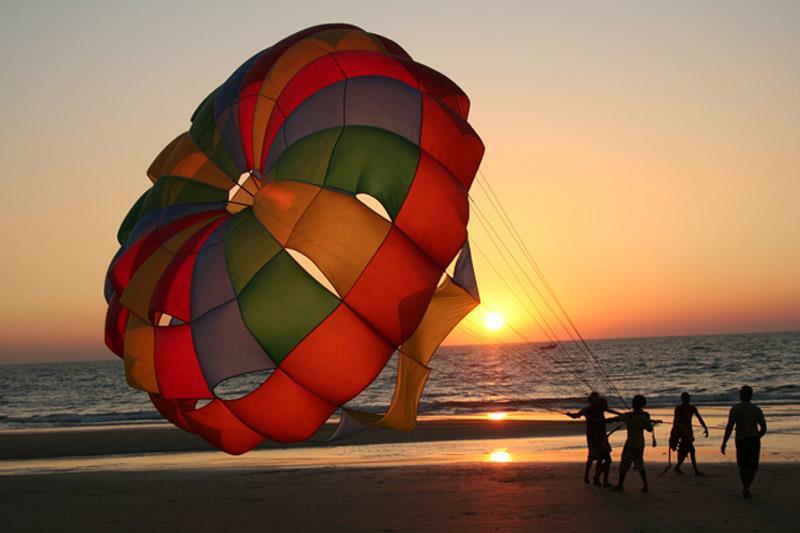 The majestic view of the landscapes and beaches can be enjoyed while sailing in a parachute. Snorkeling is an underwater exploration sport. A simple breathing apparatus will be given to the divers. A tube in the apparatus is exposed to the outer atmosphere while you were floating in the sea waters. This ensures uninterrupted oxygen supply. So you can easily float and observe under water life. Everyone can enjoy this sport. This doesn't require training or swimming skills. Scuba diving is yet another underwater sport. It takes you to the deep sea levels. As you will be swimming deep inside the sea ,training is required. Expert guys will guide you. You may be required to undergo pool sessions with the equipment needed to do scuba diving. Vacation without shopping is impossible. Walk through the roads of Panjim to but those unique stuffs for you and your loved ones. Panjim circle has both street shops and branded showrooms. Markets and bazaars in the beaches are a must try. Anjuna flea market in Anjuna beach is a popular one. Goa is also popular for cashews. Shops selling cashew nuts will be available throughout the city. Hotel stays in the central part of Goa is highly recommended. 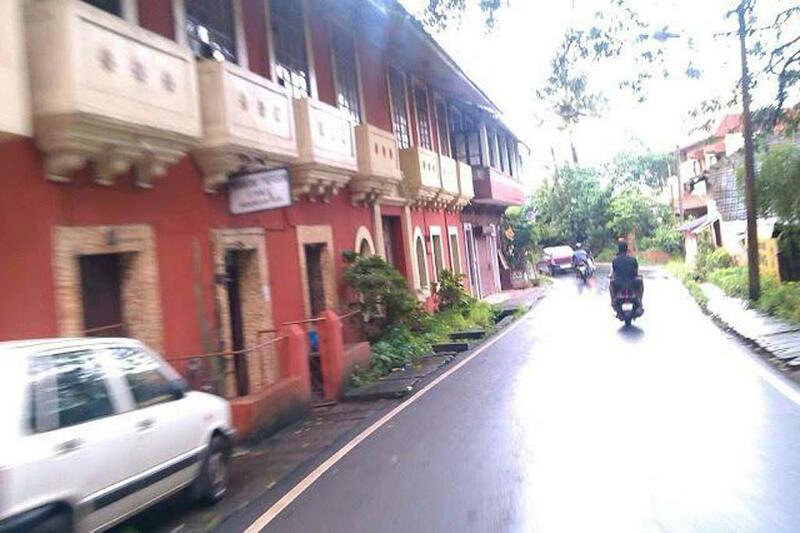 Many of the heritage structures and authentic Goan restaurants are located close to Panjim or Panaji of Goa. Guided by directions of Google maps you can easily reach these places on a bike. Trip Advisor or Zomato web applications helps you to sort the best destinations in Goa and top-rated restaurants in the city. Ferry services will take you to beaches in the north and southern parts. Also, this makes your trip cost-effective. If you are beach person opt for cottages and resorts near the sea. Peak tourist season of Goa. Weather becomes pleasantly cool and comfortable. Tourists around the World plan a vacation to celebrate Christmas and New year during these months. Planning in advance is necessary. The accommodation prices are much higher in this time. Best time to visit Goa. 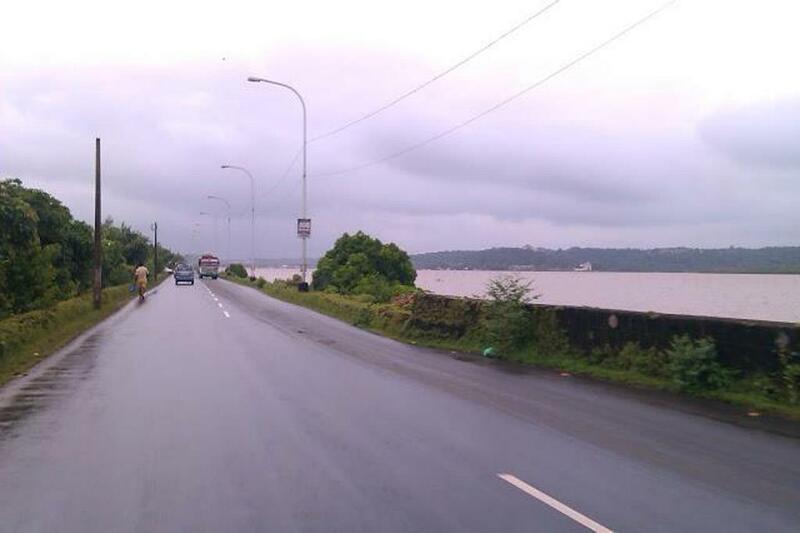 With monsoon just about to start and mild drizzling rain everywhere Goa becomes lush green beautiful. Hotel prices are relatively lesser and the city boasts fewer tourists. People gathering in tourists places will be eventually lesser. You can enjoy a calm, pleasant holiday in these months. Summer season in Goa. The city becomes hot and humid. Climatic conditions in the sea are less favorable for sports activities. Not many people visit Goa during these months. Accommodation prices become much cheaper. Flights, Trains and Buses connect Goa to all parts of India. Trains from South India take en route Dudhsagar falls. Picturesque views can be enjoyed. Flights fly above the sea making one to catch visually attractive sight of the city. Hope the above article would have given a glimpse about Goa. I am sure Goa will top in your next holiday destination list.